From Crazy Rich Asians to Mary Poppins Returns, here are the feel-good films you shouldn't miss. If there is one thing that everyone can agree on as 2018 comes to a close it’s that this year was a hard one. Between the unrelenting news cycle, the unsteady stock market, the growing need to keep up with social media, and navigating all of these in addition to the rest of life’s every day challenges, there was barely time left to come up for air. (Of course, doing so is just another thing to add to the list of areas we can all improve on.) Still, there was some relief: The onslaught of feel-good movies made it easy to laugh off your stress. Spending time taking in the joy-inducing movies of 2018 has well-being benefits, too: Laughter not only releases endorphins, it also strengthens your heart, according to a study by the University of Maryland Medical Center in Baltimore. With that in mind, we rounded up the most joy-inducing movies of 2018. Their appeal will extend well beyond the calendar year. Music? Check. Magic? Check. A film you can watch with the whole family? Check. Even though it’s a sequel — albeit, reworked with new music and new faces like Emily Blunt, Lin-Manuel Miranda, and Colin Firth — Mary Poppins Returns has all of the makings of an instant classic. With a 99 percent Rotten Tomatoes score, Won’t You Be My Neighbor? is as close to perfection as a documentary gets. It tells the story of the life of childhood hero Mister Fred Rogers, and it will restore your faith in humanity. The past decade has seen a drought in smart and charming teen films, but Netflix is slowly changing that. To All the Boys I’ve Loved Before, based on the YA novel of the same title, is one of the best examples of it. It’s hilarious, sweet, and begging for a sequel (which, luckily, is already in the works). Love, Simon doesn’t just fill the void of a gay teen rom-com — a genre that could use muany more entries — it is also a story about finding yourself and not being afraid to announce who that is to the world. That narrative is told through young actors Nick Robinson and Katherine Langford, with help from Jennifer Garner and Josh Duhamel. Even though it’s nearly impossible to get through without reaching for the tissues, there are plenty of laughs and uplifting lessons along the way. For the career-driven, Set It Up might hit eerily close to home. The film follows workaholics Lucy Liu and Taye Diggs, whose personal assistants, played by Zoey Deutch and Glen Powell, come up with a plan to help their bosses find love. The Netflix film is all about loosening up, and opening yourself up to new experiences and relationships in the process — a message that’s appropriate at any stage of life. There’s a reason that The Kissing Booth is Netflix’s most rewatched movie of 2018 (followed by To All the Boys I’ve Loved Before). It’s fun, cute and easily digestible — a lighthearted take on the coming-of-age story. Watch it and see if you can resist pressing play another time. Okay, A Christmas Prince: The Royal Wedding is not going to be up for any Oscars. There are the familiar characters: the uptight nanny, the adventurous lead female, the prince — you get the idea. But for what it lacks in artfulness it makes up for with laughs and sweet moments. It’s also the closest one can get to understanding the day to day life of new royal Meghan Markle. Ibiza is definitely not for the family, but is great for a solo watch or one with friends. There are too many funny moments to count, thanks to stars Gillian Jacobs, Vanessa Bayer, and Phoebe Robinson. Think The Hangover with the gorgeous backdrop of Spain’s most clubby balearic island. Like A Christmas Prince: The Royal Wedding, Netflix’s The Princess Switch isn’t something that you watch for the acting. You watch it for the goofy, family-friendly laughs and the pretty setting of Montenaro, a fictional European town where star Vanessa Hudgens, who plays a commoner from Chicago, ends up finding love with the royal, played by Sam Palladio. It take place over Christmas, but its appeal extends way beyond. 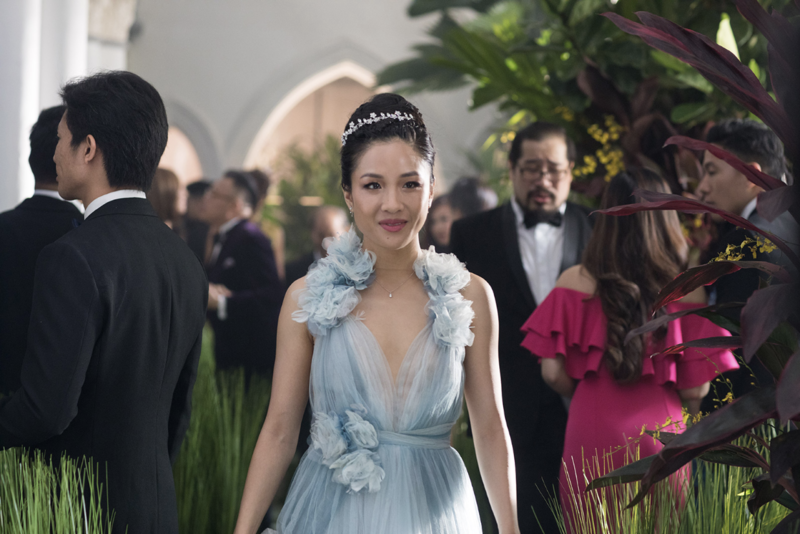 As the highest-grossing rom-com of the decade, the box office figures alone speak for Crazy Rich Asians. There’s also the fact that it’s undeniable evidence that there is a real need for and an interest in movies by and starring people of color. Outside of these hallmarks, though, Crazy Rich Asians is just a crazy great film. From the acting, cinematography, and the story to the many, many laughs and yes, even tearful moments, it’s a rare film that manages to mean so much to so many different people. If you haven’t seen Paddington 2 yet, then you haven’t seen the best-reviewed movie in history on Rotten Tomatoes. Yes, you read that correctly. The sequel amassed 164 fresh reviews, outnumbering the former number one spot, Toy Story, by a single fresh review. It also has a whopping 100 percent score on the review aggregator. If Paddington could win over the hardened criminals in the film, he can win over anyone else and soften their heart in the process. With all of the negativity around, it becomes easier and easier to let it color the way we experience the world. But Christopher Robin is proof that we never have to give up our childlike wonder, and it’s a message that appeals to everyone.